ISSN: 0792-9803 Copyright 1996 by the Department of Theatre, University of Haifa JTD, Journal of Theatre and Drama, is published annually by Haifa University Press. Contributors are advised to consult JTD - Notes for Contributors prior to sending their contribution. 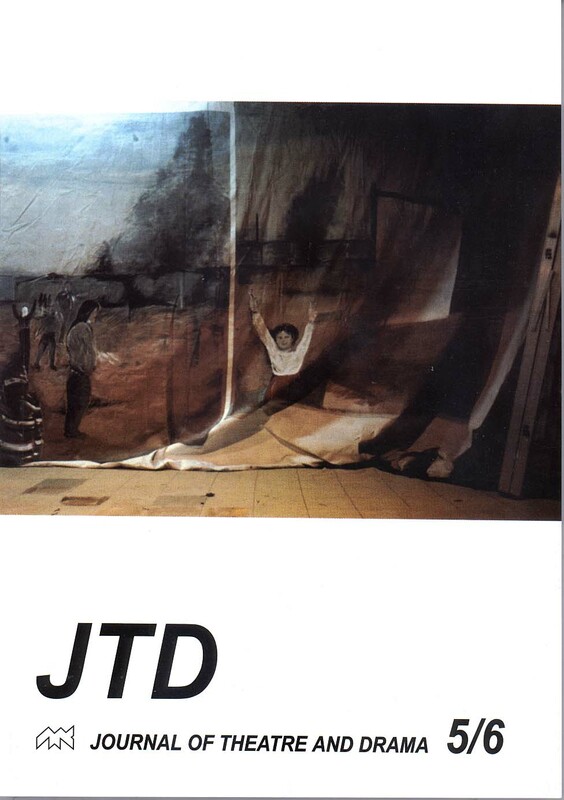 This is a call for papers for JTD (Journal of Theatre and Drama), published annually by the University of Haifa, in English. The deadline for vol.7 (2001), to be published by the end of February 2002, is 31st July, 2001. Contributions on all topics related to Theatre and drama are welcome. 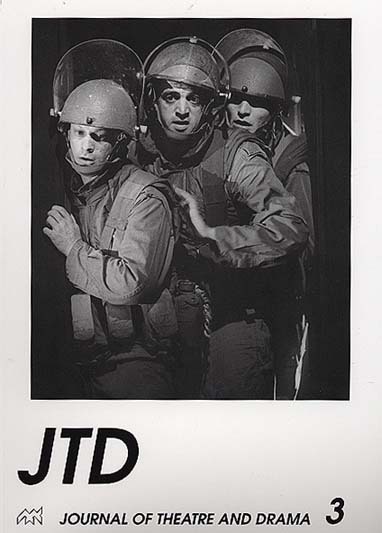 JTD was initiated by our late colleague Chaim Shoham, who sadly died of heart attack while working on the first issue. He meant it to be a major organ devoted exclusively to Jewish Theatre and Drama (hence the acronym JTD): "its agenda," he wrote in his programmatic preface to the first issue, "is designed to cover a great variety of themes and issues concerning the history, aesthetics and poetics of Jewish theatre and drama, a field arousing growing interest, but to which no regular organ of academic research has been exclusively devoted so far... JTD will raise various issues... from the cultural aspects of a national stage to the international deployment of Jewish theatrical activity." Following the publication of the first issue, edited by him, we have decided to go on publishing the journal as a tribute to his spiritual and academic heritage. However, we felt the exclusive insistence on Jewish and Israeli theatre too restrictive. We have therefore decided to broaden the scope of our publication to all topics related to theatre and drama. A particular stress will be laid on Jewish drama and theatre, whereby we will retain Chaim Shoham's vision of an academic organ of which a central aim will be to further the areas of study he described in his preface to the first issue. 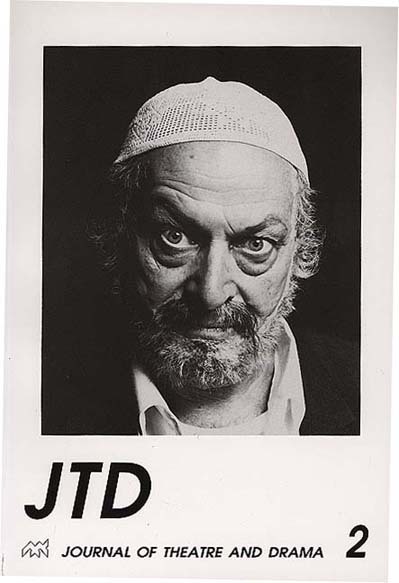 We will therefore retain the title of the journal as devised by him, though the acronym JTD will now indicate the broader scope of this publication, namely Journal of Theatre and Drama. It will be published annually (on the month of November) by the Department of Theatre of the University of Haifa (which he initiated as well). 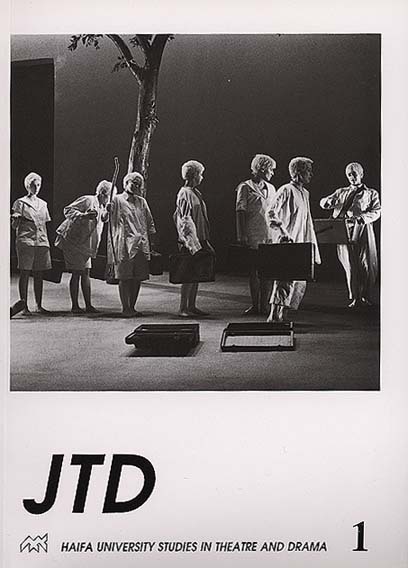 In its present form, then, JTD publishes articles dealing with historical and theoretical aspects of performance, theatre and drama. It offers a forum for the investigation of positive relationships between the language of theory and the language of theatrical practice. 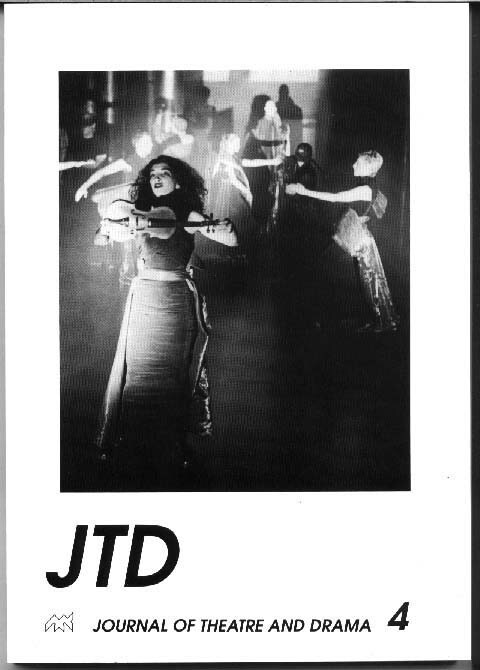 JTD takes as its premise that the vocabulary of text and performance may be developed and enhanced by the scrutiny of theatrical analysis; likewise, that theatrical analysis needs to expand its discourse to include the expressive, gestural and dynamic language which governs the principles of live performance.